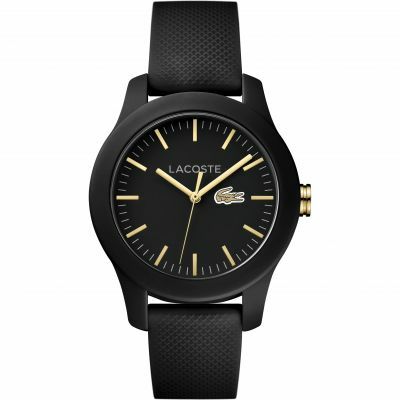 Lacoste 12.12 2010766 is an amazing and special Gents watch. 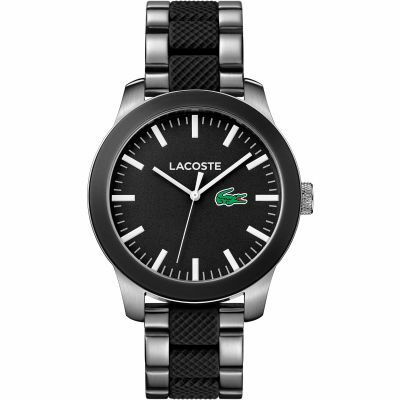 Case is made out of Stainless Steel and Resin and the Black dial gives the watch that unique look. 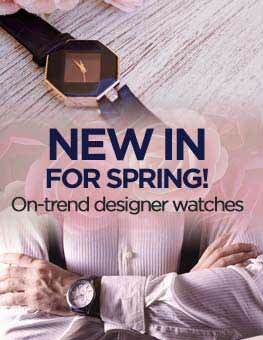 In regards to the water resistance, the watch has got a resistancy up to 30 metres. It means it can be worn in scenarios where it is likely to be splashed but not immersed in water. It can be worn while washing your hands and will be fine in rain. We ship it with an original box and a guarantee from the manufacturer. 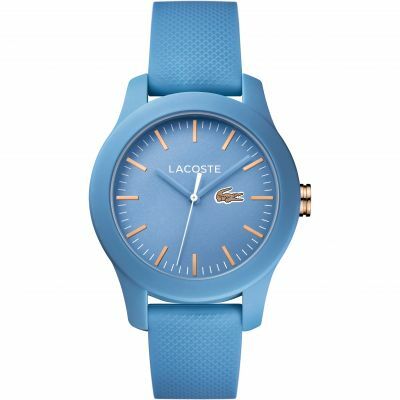 nice, simple watch. Husband loved it. Its quite light so doesnt hand heavy on wrist. 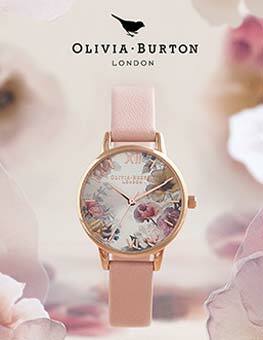 Fantastic watch bought as a gift! 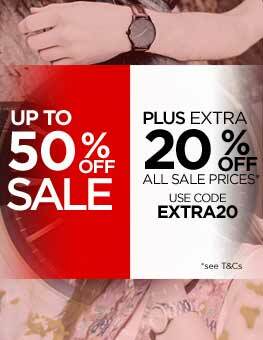 Have ordered from watchshop previously and have never been disappointed! 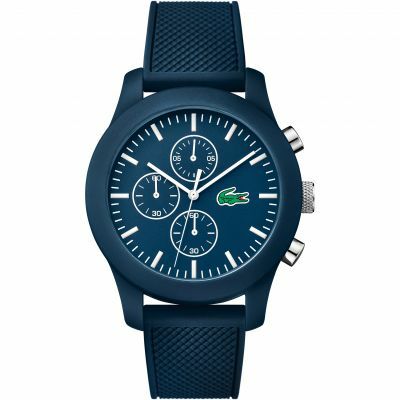 its a excellent watch.i came from srilanka to UK for my graduation and a friend told me about the online purchase and Lacoste 12.12 is the exact watch i was looking and specially the black dial,super. 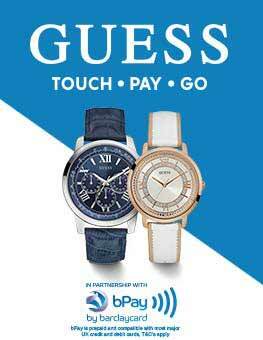 the watch i brought was excellent quality and just how i wanted and expected, and my partner loves it!!!! 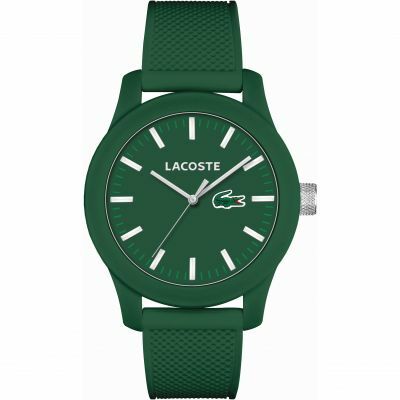 The Lacoste watch debuted in 1993, inspired by the traditional polo shirt and featuring a distinctive green trim with textured detailing. 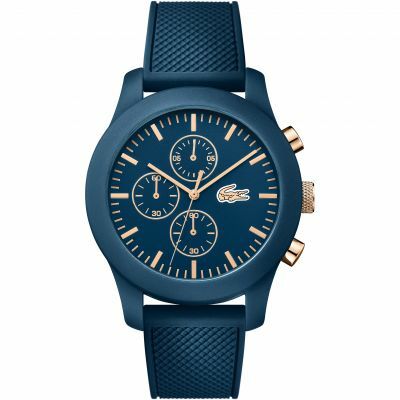 Since that time Lacoste watches have been developed in numerous sporty and decorative styles (such as the Goa line ) centred around that famous crocodile, from the bold and provocative to the tastefully subtle (see the Montreal range ). 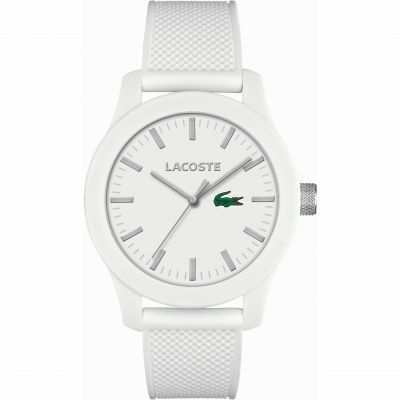 The French Lacoste brand has a history that begins on the tennis courts, where founder RenÃ© Lacoste first made a name for himself. The tennis pro was given the nickname 'The Crocodile' for his tenacious performances. 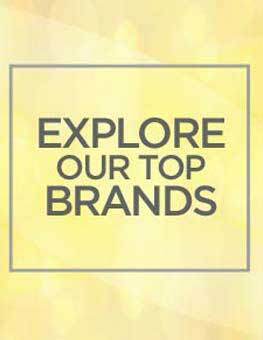 This would eventually become the iconic logo of his fashion label, established initially for the creation of his trademark tennis polo shirts in 1933. 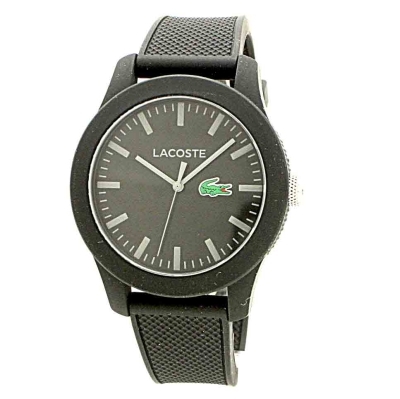 This collection of Lacoste watches features the crocodile emblem within bold and exciting designs for men and ladies. 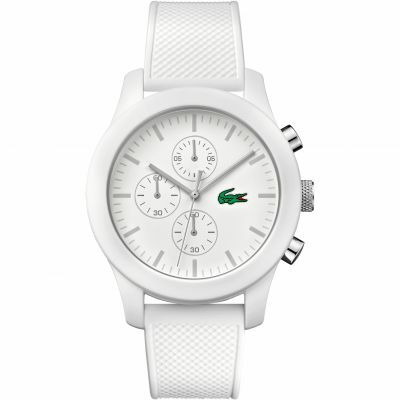 Watch Shop is an authorised Lacoste stockist. 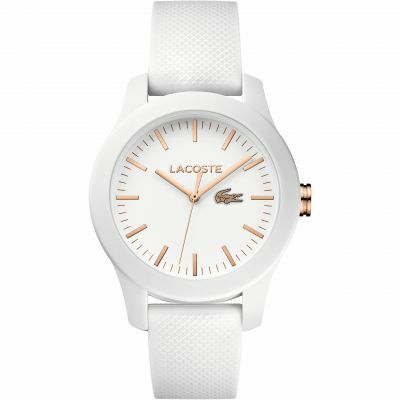 Sign up to receive email updates when new styles of Lacoste are added to Watch Shop!